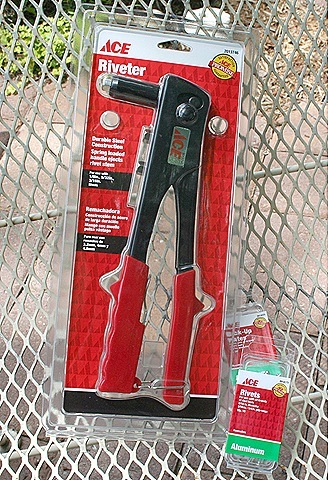 I'm using it upstairs in the sewing studio, but I found it at Ace Hardware. I love the Ace, especially the aisle with all the little drawers full of nuts, bolts, washers and who knows what. 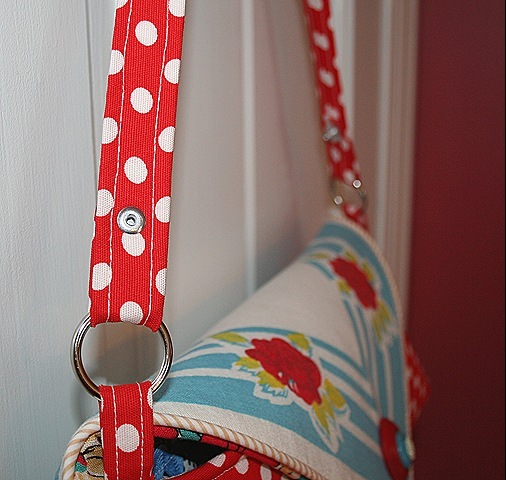 It makes attaching handles to purses especially sturdy. SWEET! Funny I love that aisle too! Those cute little bags they put all those treasures in! And the popcorn on the way out the door! Perfect! They just closed the Ace in our town…such a sad thing, I think back on all the hours I spent in that store over the years *sniff* Love your new rivetter..so cool! I’m wondering if that would work on leather?? What do you think? I wanted to ask, did something of yours feature in Better Homes & Gardens magazine 100 Decorating Ideas Under $100?? There is something in their current issue that looks A LOT like something of yours. The fabrics and design is what stands out to me as a Georgia Peachez design, but I may be wrong. I will try to post an image.